1001 Business Center Drive Mt. Prospect, IL 60056 (800) 950-5202 www.sumicarbide.com G L O B A L S U P P O RT. G L O B A L S O L U T I O N S . FREE Coffee Gift Card with WDX Kit Purchase WDX Promo 2 Ways to Save 1. Kit Price: Includes drill, 10 inserts & FREE $10 Card 2. 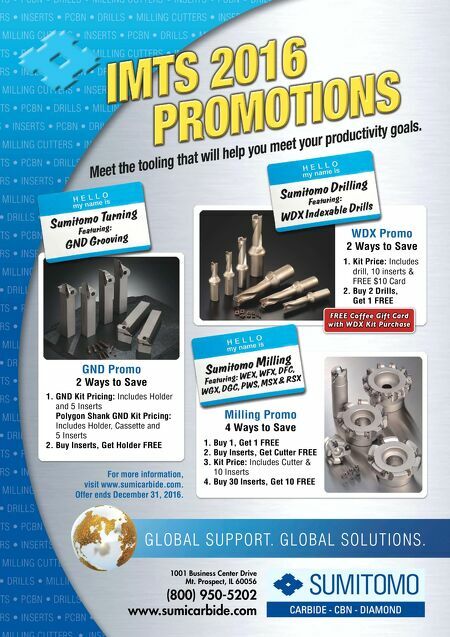 Buy 2 Drills, Get 1 FREE Milling Promo 4 Ways to Save 1. Buy 1, Get 1 FREE 2. Buy Inserts, Get Cutter FREE 3. Kit Price: Includes Cutter & 10 Inserts 4. Buy 30 Inserts, Get 10 FREE GND Promo 2 Ways to Save 1. GND Kit Pricing: Includes Holder and 5 Inserts Polygon Shank GND Kit Pricing: Includes Holder, Cassette and 5 Inserts 2. Buy Inserts, Get Holder FREE For more information, visit www.sumicarbide.com. 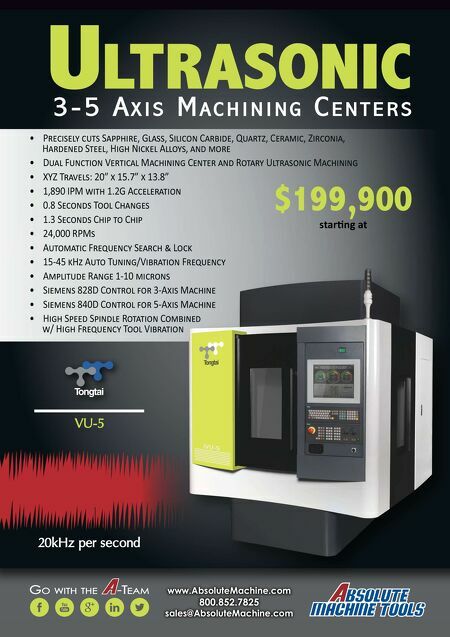 Offer ends December 31, 2016.